Everyone will enjoy all this home has to offer. Spectacular views are abundant from its many windows. With its open floor plan and optional outdoor fire pit, this home is truly unique. The foyer opens to formal dining and living areas, and a beautiful fireplace features a slate surround with a traditional mantle. Another added bonus offers a garden tub along with dual vanities with cultured marble tops. 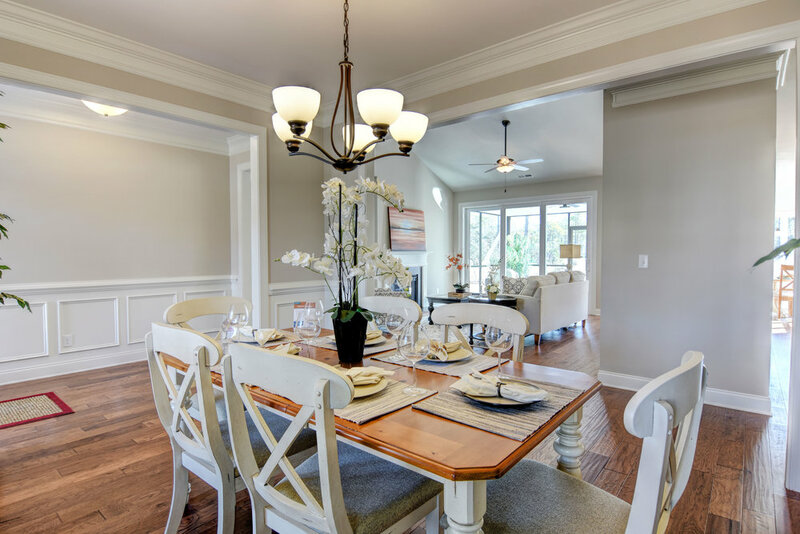 Hardwood flooring throughout the formal areas adds charm, while the bonus room makes a great office or a fourth bedroom, perfect for extended family visits. Enjoy completed amenities, including a private oceanfront beach club, over 15 miles of walking and biking trails, a 475-slip ICW marina and marketplace, state-of-the-art athletic clubs and clubhouses.